Red Wicket Market Farm: Happy Halloween! 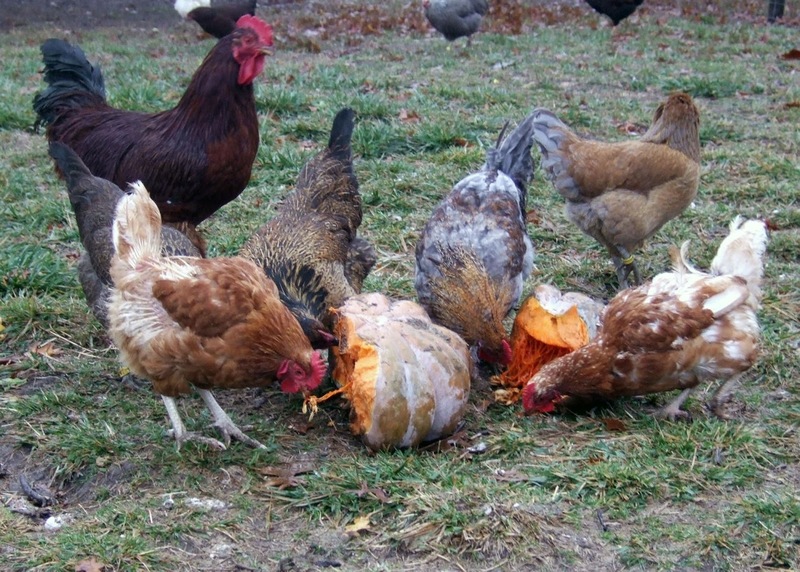 When you have chickens, you never need to wonder what to do with the pumpkin guts. Chickens absolutely LOVE pumpkin. 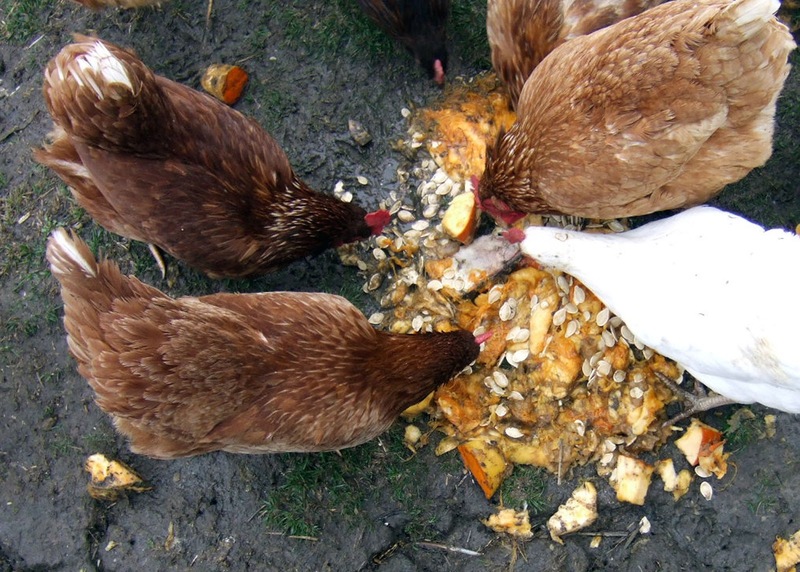 In fact, they are clustered so tightly in the photo below that you can't even tell what they're eating. I had to do an aerial view. Since it's Halloween, I gave them another pumpkin to eat as well. 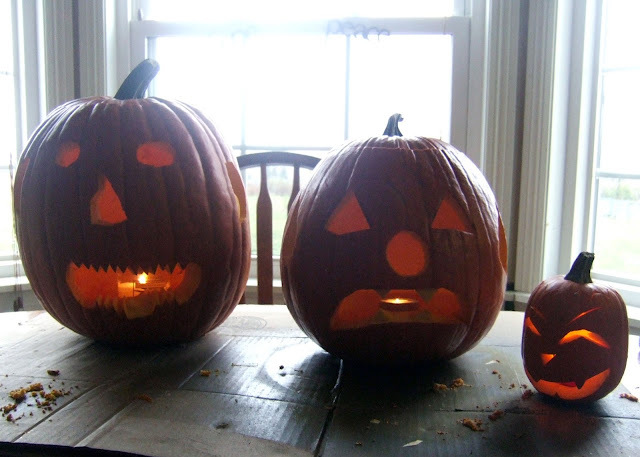 Our three vines this year yielded 12 pumpkins, and even though I love pumpkin, there's only so much I can eat. As you can see, these aren't carving pumpkins, they're brown, lobed, eating pumpkins. Happy Halloween, everyone! 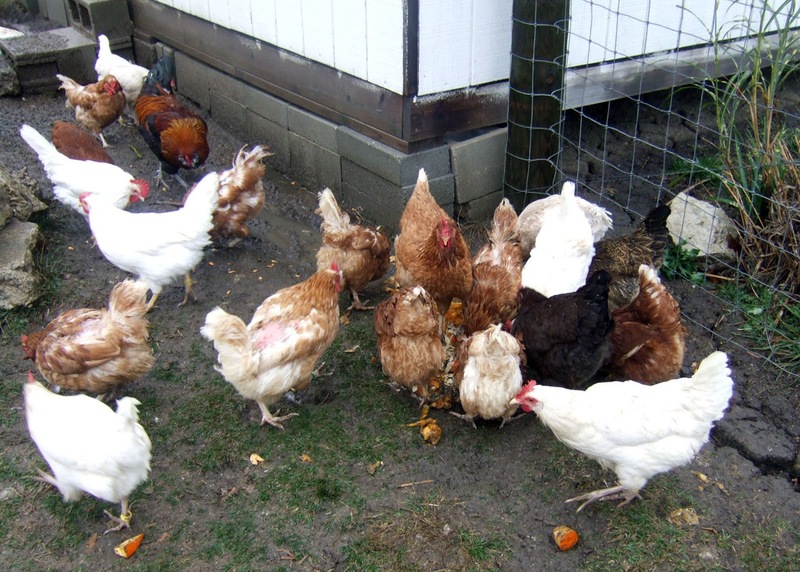 I hope you get as many pumpkin treats as the chickens did!